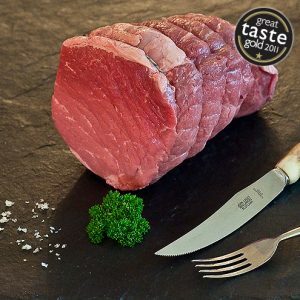 We are one of the few butchers that rear their own Scottish beef using traditional native breeds. Our herd is made up of around 200 Highland, Shorthorn and Aberdeen Angus Beef cattle that are largely reared outdoors and are Grass Fed. 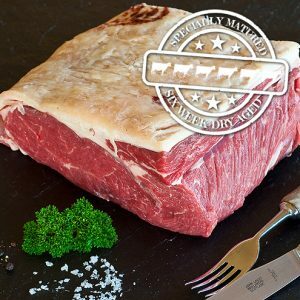 When the cattle have reached maturity naturally they are taken to a local abattoir before being dry aged for a minimum of 21 days. 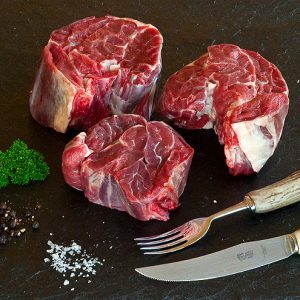 All items are cut to order by our professional butchers and are delivered to you fresh. We take great care of our cattle raising them to excellent standards and are a member of the Scotch Beef Assurance scheme run by Quality Meat Scotland. We also produce all our own feed so that we can be sure that our cattle are only fed on the highest quality food. We also make a point of not using antibiotics or growth promoters – we want to produce as natural a product as possible. 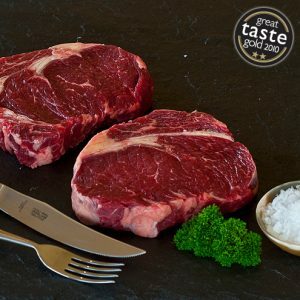 Do look out for our very special 6 Week Hung Beef when it is available.